Below are the top five Premier League youngster from 2014 year. Chambers featured sporadically for Southampton, filling in for Nathaniel Clyne when required but showed incredible promise. He was quickly snapped up by Arsene Wenger in the summer transfer window. Whilst only 19, has played almost every game of the Arsenal campaign featuring all across the backline. Frequently switching positions and showcasing his versatility, he has been a great addition to the Gunners’ ranks. His maturity and poise is unprecedented for someone so young and has been a key element in all his displays. When Van Gaal arrived at Old Trafford, the defence seemed to be crumbling apart and wholesale changes seemed imminent. Innumerable injuries didn’t help Van Gaal either and so he chose players from the youth setup to make up the numbers at the back. Paddy McNair was one of them but he didn’t just make up the numbers. He shone brightly and announced his promise to the world. His inexperience showed slightly in those performances, but his talent and tidy game was obvious. He is a defender to watch in the future. Connor Wickam’s name immediately springs to mind the miraculous Sunderland recovery last season to just about keep hold of Premier league Status. Connor Wickam was at the heart of their miracle, scoring the most crucial goals in the most crucial matches. He has kept his place in the starting eleven ever since and has impressed with his drive and determination, even though deployed primarily on the wings by manager Gus Poyet. Raheem Sterling has been at the centre stage for so long that one easily forgets he is still so young. 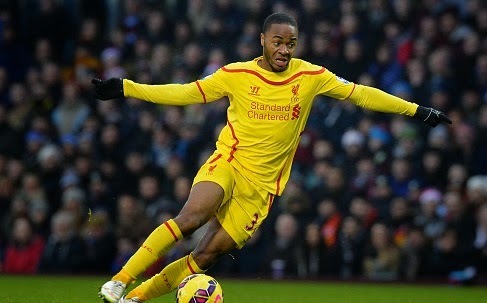 Still only 20, he has become the go-to guy in Liverpool’s attack as well as a regular feature in the England lineup. His pace and trickery is a handful for any defence in the world and his diligence in running around on the field is a welcome bonus. One of the biggest English prospects and a super star in the making, this kid has a great future in football. Luke Shaw played for Southampton at the start of 2014 and everyone could see the talent he possessed. He was coveted by the biggest clubs in England in the summer, and he became the most expensive most in world football when Manchester United signed him for a fee of around 30million pounds. He is defensively very sound and with amazing speed, control and crossing. He is the complete package at the left-back position with his driving powerful runs being a constant threat to the opposition.